On October 9, 2012, New York's highest Court heard the case of Douglas Elliman LLC v. Tretter. To watch the Court's oral arguments, click here and click on the button for webcast. During the arguments, the Court was faced with the issue of the extent of a broker's fiduciary duty when working as an exclusive agent for a seller and concurrently trying to have potential customers become customers or clients of the broker on different homes / apartments. The Tretters argument was that if you have an exclusive a broker can't show prospective purchasers another property, especially not one that is not an exclusive listing at your brokerage house. Douglas Elliman suggested the following rule to the Court: "A broker can show a buyer other properties, the broker can be informative, can be honest, can be straightforward, but cannot prefer the property over the property of their principal". 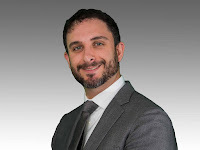 As restated by counsel to Douglas Elliman, the rule is: "The broker can be informative and honest about the unit, but cannot sell the unit over their principal". While hearing the arguments, the Court focused greatly on a case that they heard back in 2001, called Sonnenschein v. Douglas Elliman. To read the prior case, click here. This Court has not addressed the parameters of a real estate broker's duty under these circumstances. Other jurisdictions have held that, in the absence of an agreement with a principal to the contrary, a broker owes no duty to refrain from “offering the properties of all [its] principals to a prospective customer” (Coldwell Banker Commercial Group v. Camelback Off. Park, 156 Ariz. 226, 230, 751 P.2d 542, 546; *376 McEvoy v. Ginsberg, 345 Mass. 733, 737, 189 N.E.2d 546, 547; see generally, Foley v. Mathias, 211 Iowa 160, 233 N.W. 106; Lemon v. Macklem, 157 Mich. 475, 122 N.W. 77). We find this approach to be consistent with the nature and fundamental requirements of the real estate marketplace in New York. Unless a broker and principal specifically agree otherwise, a broker cannot be expected to decline a prospective purchaser's request to see another property listed for sale with that broker. Any other rule would unreasonably restrain a broker from simultaneously representing two or more principals with similar properties for fear of ***67 **862 violating a fiduciary obligation in the event a buyer chose the property of one principal over that of another. Similarly, such a limitation would frustrate the interests of sellers, who benefit from the opportunity to market their properties to as many potential purchasers as possible, as well as the interests of potential buyers, who often request exposure to a number of properties in order to select the one most suitable to their needs and budget. For these reasons, we decline to impose upon all broker/principal relationships the restrictive view of broker duty that plaintiffs espouse. Of course, a principal remains free to enter into an explicit agreement with a broker to achieve such an exclusive arrangement. We will stay focused on the decision, but the oral arguments are terrific and both attorneys represented their clients well.